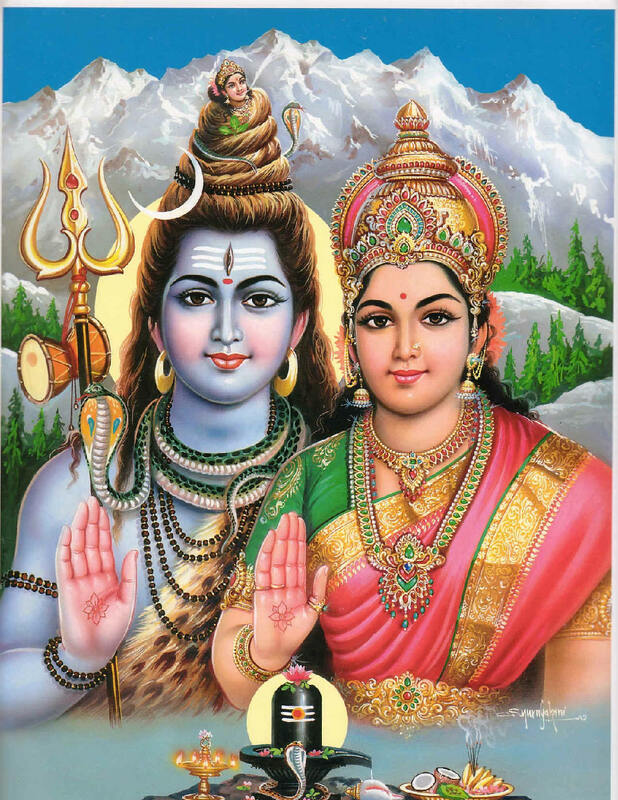 We discussed oneness of Shiva and Shakti and Shaktipat in the last post. What happens when our body is created? As we have seen earlier, Shiva sits at the sahasrara chakra located at the crown of the head. Shakti moves through sushumna creating various chakras that control our body. She also distributes our karma of our past lives in sushumna and chakras as she moves down to gross aspects of the body. Her creation becomes complete when she reaches root chakra(muladhara). Nothing else is left for her to do. But, since Shiva and Shakti always want to be together, she needs to go back to Shiva. But, she will not. Why? She wants to ensure that the Individual Self of the body burns the karmas. The body is born because of karmas! She goes into deep sleep at muladhara to take rest! As long as she is at sleep, we cannot recognize that we are same as Universal Self(Shiva). This is ignorance. Remember, ignorance is responsible for worldly life and puts us in continuous birth and death cycle. How can we come out of ignorance? How can we evolve spiritually? For that, we need to take refuge in a Sadguru who is capable of awakening Kundalini. The moment Kundalini is awake by the Grace of Sadguru, she remembers her lord and wants to unite with Shiva at sahasrara! Naturally, she tries to go up through sushumna. Our past karmas accumulated in sushumna and chakras will not allow her to proceed to sahasrara. There will be a friction between Mother Kundalini and karmas. These encounters are manifested as diseases in our physical body. But, this looks like a paradox, right? We are saying Kundalini is all powerful. Then, why can’t she destroy all karmas at once and unite with Shiva? Kundalini is omnipotent and the Mother of all powers. If she tries to destroy all our karmas in one go like that, the body and mind system might completely collapse due to extreme shock! Fortunately for us, she will not do it. Because, she is very kind and compassionate towards us. Now the question arises: how do we practice the Kundalini Yoga? Please hold on! We will answer this in the next post. Next Post: Kundalini Yoga – Part 5: How to practice? Stay along! This entry was posted in Kundalini Yoga, Meditation, Oneness of Shiva and Shakti, Yoga and tagged bliss, chakra, chakras, god, grace of guru, hinduism, ignorance, individual self, kundalini yoga, meditation, philosophy, Raja Yoga, real yoga, religion, sadguru, sahasrara, shiva, spirituality, sushumna, tantras, ultimate reality, union of shiva and shakti, universal self, yoga. Bookmark the permalink.